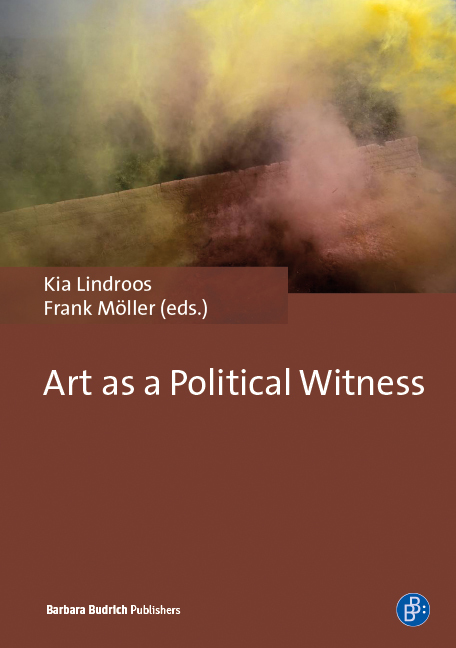 The book engages with the conceptual and theoretical dimensions of its general theme – art as political witness – and presents a wide variety of theoretically reflected case studies. Therefore, the understanding of art is not limited to fine art but open to various forms of artistic expression including popular culture. In the social sciences, the concept of witnessing has widely been used in connection with memories of tragic and traumatic events such as the Holocaust. The book acknowledges a certain expansion of the concept in recent scholarly work, decoupled from tragic events and increasingly applied to the everyday. A witness is a spectator, observing a scene, but a witness is also someone who observes a scene indirectly, mediated through representation including artistic representation. Art witnesses, and makes others witness, politics. The individual chapters, while exploring dance, film, photography, performance, poetry and theatre as political witness, acknowledge, engage with and build upon the existing literature thus enhancing our understanding of the interrelationship between art and politics.